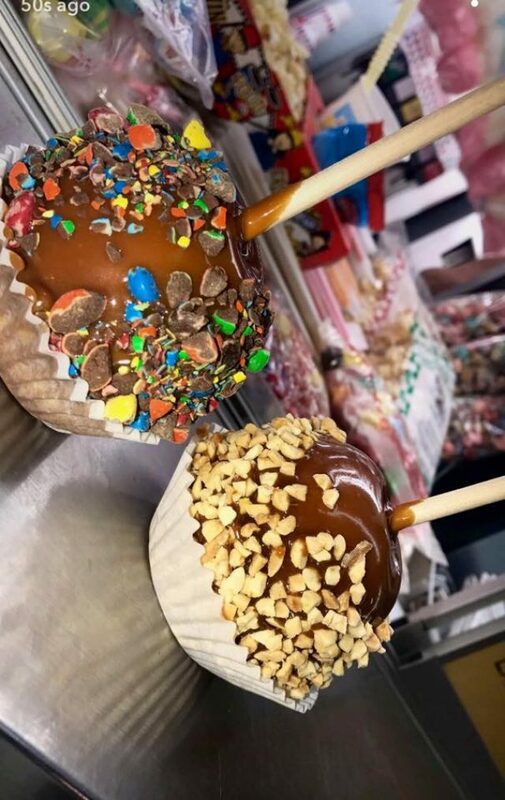 The Nappanee Apple Festival, known for its seven-foot apple pie amongst other fan-favorite events, returns for its 43rd year of celebration from Sept. 13-16. Erin Graber, a sophomore accounting major and an Elkhart County native, has been attending the festival since she was a kid, with her festival duties changing throughout the years. Graber was offered an internship at one of the largest festivals in the state of Indiana during her senior year of high school. She also has familial connections to the Apple Festival. Her cousin, Nicole Beer, works with corporate sponsorships and is head of the social media. Also, her uncle, Maynard Miller, is the longest-running committee member, finishing his 40th year of service. Beer said that the Apple Festival is more than just its committee members. “We rely on the generosity of over 75 local and area businesses to help sustain our festival,” Beer said. “More than anyone else in the festival,” Beer said, “I was an Apple Festival kid.” Beer’s grandparents started the Apple Festival tradition in 1975, and her father, Maynard Miller, has led the community to continue the tradition within his 40 years of service to the Nappanee Apple Festival. “I grew up completely immersed with it and completely involved all the time,” said Beer. The 43rd annual Nappanee Apple Festival has an interesting selection of entertainment options that may or may not include apples. There will be carnival rides, 150 exhibitors, over 20 different food vendors, three entertainment stages, and a Saturday morning parade. The most famous trademark of the Nappanee Apple Festival is the 7-foot apple pie, weighing 600 pounds, that volunteers bake every year. Beer said that this feature was voted “the No. 1 festival food in the state of Indiana” in 2016. “That’s definitely my favorite part,” Graber said. Graber, a GC student herself, would recommend the Apple Festival to other students on the Goshen College campus. Amethyst Romo, a sophomore psychology major, loved her experience at the Apple Festival. Romo attended the Nappanee Apple Festival last year with her friends from Goshen College. “I got the opportunity to see a different culture and environment,” Romo said. She said that this particular environment could be alluring to Goshen College students. The town of Nappanee expects more visitors for this year’s festival, and the Apple Festival welcomes friendly competition from Goshen College students in their featured contests. This includes an apple peeling contest, a goldfish race, an apple pie eating contest, a 5k run on Saturday morning, and much more. The Nappanee Apple Festival will be held at 302 W Market Street, Nappanee, Indiana, 46550.